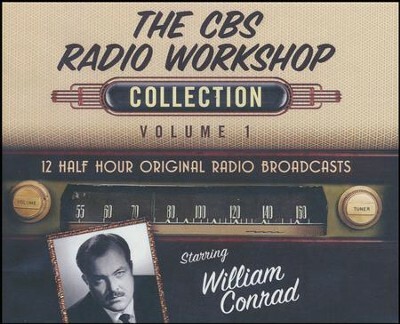 The CBS Radio Workshop aired from January 27, 1956, through September 22, 1957, and was a revival of the prestigious Columbia Workshop which aired from 1936 to 1943. Creator William Froug launched the series with the powerhouse two-part adaptation of Brave New World and booked author Aldous Huxley to narrate his famous novel. "We'll never get a sponsor anyway," CBS vice president Howard Barnes explained to Time, "so we might as well try anything." The CBS Workshop regularly featured the works of the world's greatest writers including Ray Bradbury, Archibald MacLeish, William Saroyan, Aldous Huxley, Lord Dunsany, Mark Twain, Edgar Allan Poe, Thomas Wolfe and Ambrose Bierce. Music was composed by Bernard Herrman, Jerry Goldsmith and others. Enjoy 12 of the greatest episodes from this award-winning drama series. 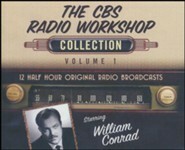 The CBS Radio Workshop aired from January 27, 1956, through September 22, 1957, and was a revival of the prestigious Columbia Workshop which aired from 1936 to 1943. Creator William Froug launched the series with the powerhouse two-part adaptation of Brave New World and booked author Aldous Huxley to narrate his famous novel. “We’ll never get a sponsor anyway,” CBS vice president Howard Barnes explained to Time, “so we might as well try anything.” The CBS Workshop regularly featured the works of the world’s greatest writers including Ray Bradbury, Archibald MacLeish, William Saroyan, Aldous Huxley, Lord Dunsany, Mark Twain, Edgar Allan Poe, Thomas Wolfe and Ambrose Bierce. Music was composed by Bernard Herrman, Jerry Goldsmith and others. 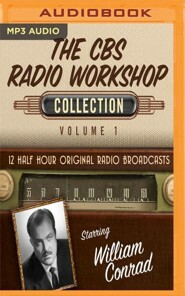 I'm the author/artist and I want to review The CBS Radio Workshop Collection, Volume 1 - 12 Half-Hour Original Radio Broadcasts (OTR) on CD.